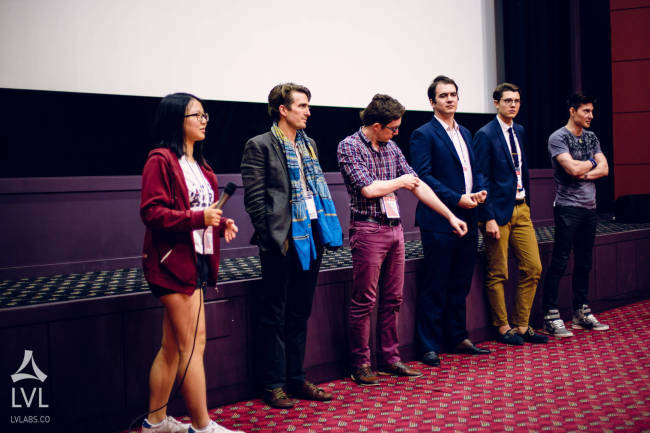 Filmmakers after a challenge will be in luck next month, when a 48-hour film event awaits them, hosted by the team behind the Korea Independent Expat Film Festival. KIX48 is designed similarly to the 48-hour Film Project, an international competition that Seoul filmmakers have entered in the past, but is a separate event. Like the other event, crews are given elements they have to include -- in this case, a line of dialogue, a prop and a type of location -- and a deadline for submission. Lambert said the 48-hour challenge would act as a bridge to keep things going while KIXFF goes on hiatus for the year. He plans to bring the festival back in 2018. The competition will start with a live draw event on Sept. 8 at EMU Artspace, where teams will draw their prop, line and location and head out to get the cameras rolling. The draw will be done by video link for teams in other cities who are unable to get to the event itself. Ahead of that, there will be a meet and greet at the Hidden Cellar in Haebangchon on Sept. 2 to explain the rules and how the event will proceed, and act as a meet and greet event for people who want to get involved but don’t have a team. “I imagine people will want to attend the actual kickoff (on Sept. 8) to try to find teams but ultimately the meet and greet is the best place to find potential teammates,” Lambert said. Finished films that are submitted on time will be screened at EMU Artspace in Seoul on Sept. 23. Registration is open to everyone and the team price for participation is 120,000 won before Aug. 31. Visit kix48.com for more information.